We Work together for him who loved us, and gave himself for us. "It is a fact that the Lord Jesus has already died for you. It is also a fact that you have already died with the Lord Jesus. If you do not believe in your death with Christ, you will not be able to receive the effectiveness of death with Him - freedom from sin." 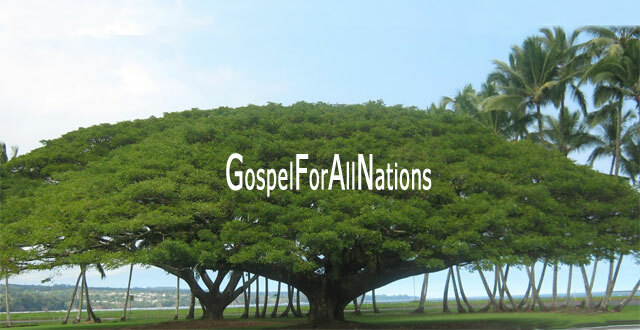 WELCOME to Gospel For All Nations. GFAN is an international full gospel outreach ministry to bring the believers together for the ultimate responsibility to spread the gospel. GFAN works diligently to facilitate The Great Commission of Jesus Christ. It acts as a platform of selfless born again enthusiastic Christians who are willing to work voluntarily to spread the salvation message of gospel to all nations beyond the discrimination of caste, creed, color or languages. In Matthew 28:18-20, Jesus gives His disciples specific directions to follow after they have affirmed their faith. "Go therefore and make disciples of all the nations, baptizing them in the name of the Father and of the Son and of the Holy Spirit." Jesus calls all His followers to act and share the Good News of salvation throughout the world. Hundreds of young missionaries have accepted this call and travel throughout the earth, spreading the word of Jesus Christ. Many of our workers have made incredible sacrifices, oppositions while traveling to remote regions of the civilized cities into jungles and deserts. Despite the fact that, we send missionaries to remote area Mission fields and support them to plant churches. 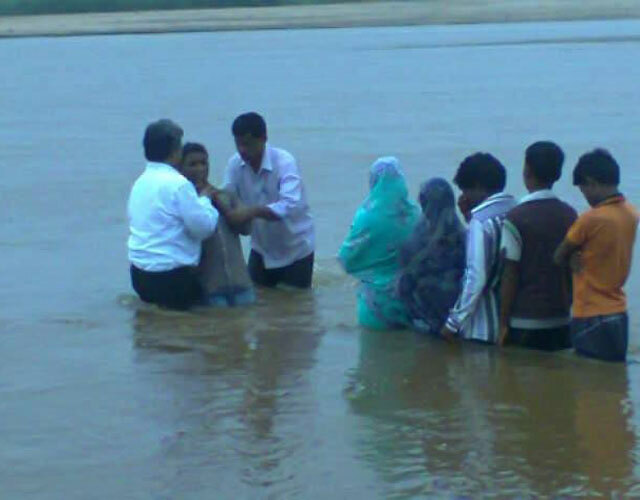 The Church ministry is known as IPA (The Indian Pentecostal Assembly) which is registered in New Delhi under Gospel For All Nations (GFAN) Trust. The beginning of it was so humble with merely 4 members in my home in 1987. Now it spread across many states in India such as Delhi, Haryana, Punjab, Madhya Pradesh, Maharastra, Bihar, West Bengal, Andhra, Tamil Nadu, Kerala and in Middle East, D.R Congo, Nepal, Myanmar etc. consisting of more than 250 churches including house groups. 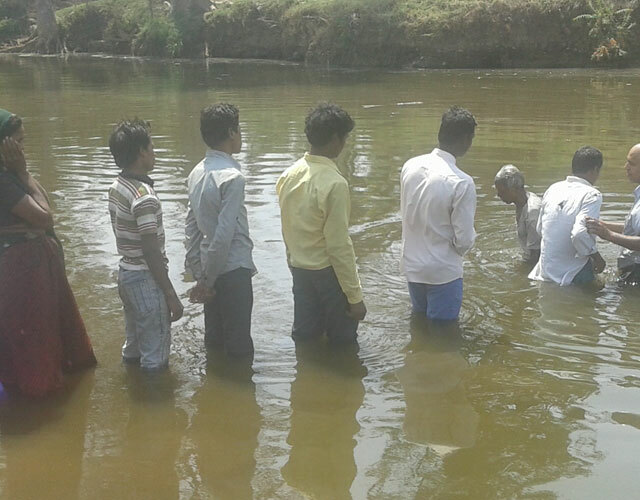 Missionaries who are working in villages are winning hundreds of souls for Christ and adding to the church day by day. The need of the hour for the saved people is a comfortable place to gather weekly and conduct worships. Dozens of church halls need to be built, some of them are under construction. 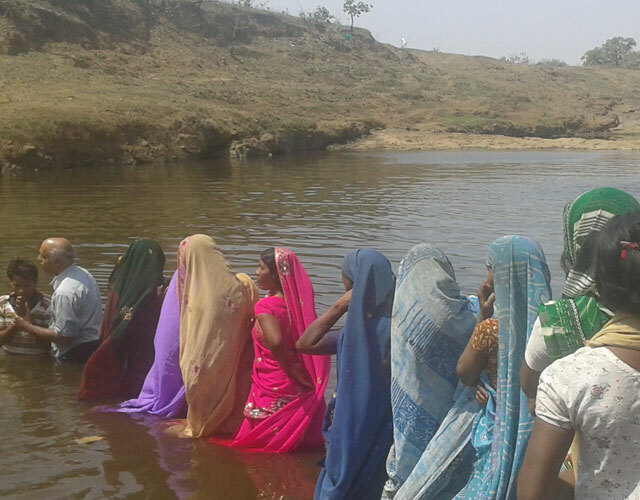 Missionaries working in villages and tribal areas are making great sacrifices to spread the gospel. They should be well-supported to continue in their ministry and to focus on their mission. 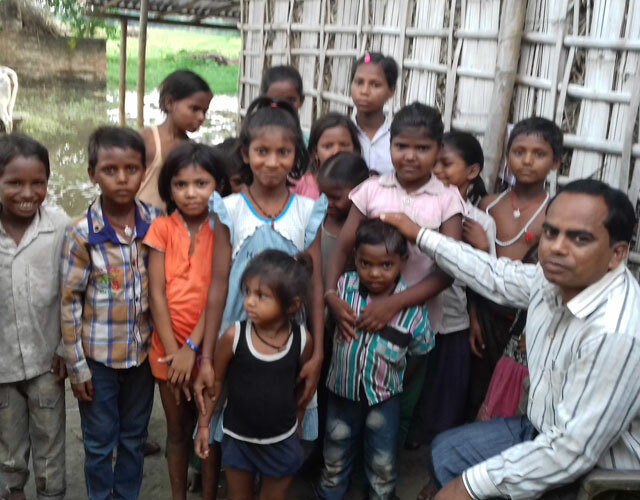 Showing the love to the needy unprivileged children by caring and educating them is a unique way to express the Christian love. Sponsoring an unprivileged child will profoundly change the future for your child, and increase the joy of your heart as well. If you are not in a position to support financially even a small amount, please pray for the ministry. The work of GFAN would not be possible without generous support and prayer of individual like you. To make a donation to support Missionaries and unprivilaged Children, please go to 'Support Us' page. 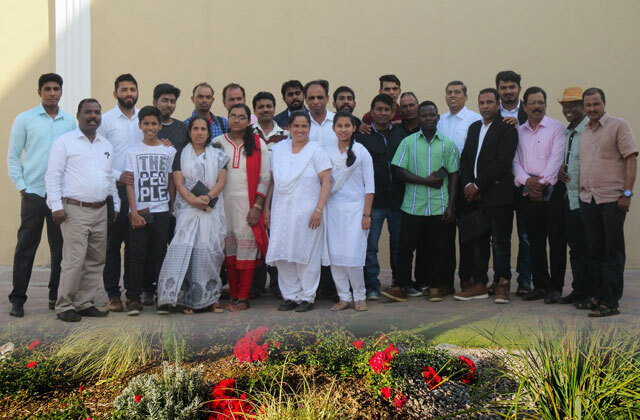 To equip young people to the ministry, GFAN and Open Bible Church, Ohio, USA have jointly conducted 2 years Diploma course in Middle East where there is no opportunity to study the Word of God. In the first batch 51 young people have been completed the course and Open Bible Church Seminary, USA honored them with Diploma Certificates. Most of them are now pastors and serving the Lord in different parts of the world. 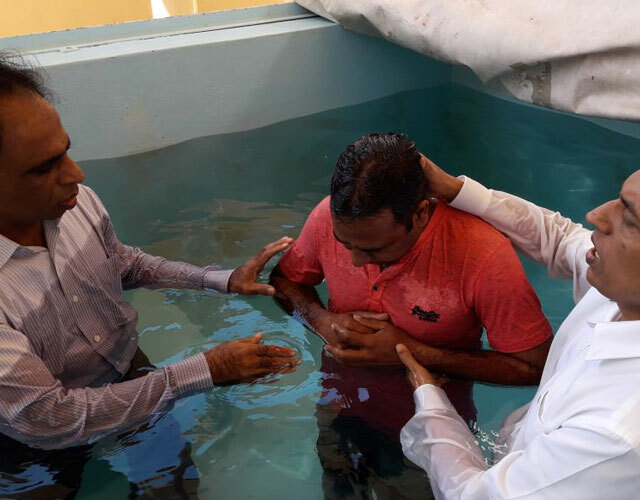 In continuation, to the Bible Training Courses, in India 3 Missionary Training Centers have started which is located in South India (Warangal, A.P), Central India (Indore, M.P) and North India (Delhi). 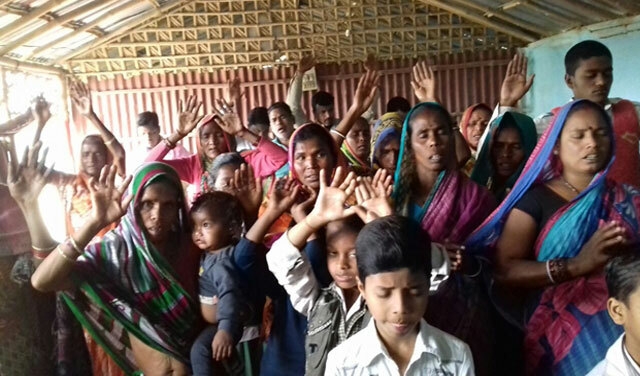 This endeavor is focusing to spread the salvation message of gospel to all nations beyond the worldly concept of caste, creed, color or languages. 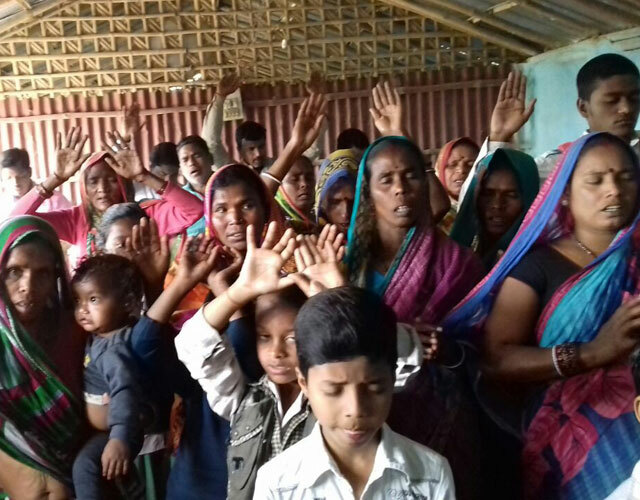 We train young missionaries and engaging to plant churches in the villages. To show the love of Jesus to the poor, unprivileged children we have made shelters in following locations. In India, Bihar state is having the highest percentage of illiterates and lowest in per capita income. There are many needy children up to the age of 15 either without parents or lively hood and education. Our Children Care home has taken up the responsibility of 30 students out of half of them are orphans. We need to send them to schools, provide food, shelter and cloths etc. We have got land to construct building at Falka and the work is going on. There were 12 poor children in Manimajra Children Home, near Chandigarh. Some of them are orphans. We take care of their food, accommodation, dress, education, medicine etc. It is an opportunity to show them the love and compassion of Jesus Christ not only by words but by deeds and actions too. Due to unwanted restrictions from local authorities about the dormitory regulations, we forced to close down the home. GFAN is caring 14 aged widow believers at Yangon, Myanmar. 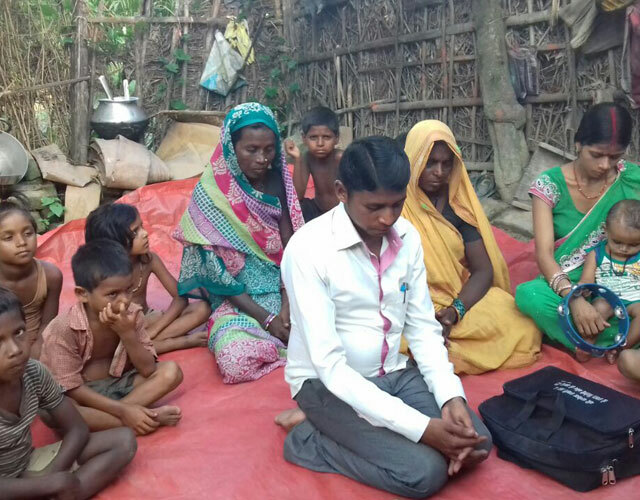 Pastor Daving Naing Ki is giving utmost care of these Widows with food, shelter and all their needs. However, there is no permanent building for their stay, running the home in a rented bamboo made shelter. Praying for land and building for this noble cause. He also involved in church ministry there and planted few churches in Yangon city and Chin state. Lack of education and illiteracy is a curse to the modern world. There is a close connection between illiteracy and poverty at all levels--global, national, and subnational; the countries with the lowest levels of literacy are also the poorest economically. Poverty breeds illiteracy by forcing children to drop out of school to work, and these illiterate people are forced to stay on the lowest levels of the work force and thus remain in poverty. Thus illiteracy in turn reinforces poverty, and poverty is cyclical in families. Women and girls are especially vulnerable to the cycle. In order to break the cycle of illiteracy, GFAN started literacy classes and primary school in the villages where there is no such facility is available. In some places, sending children to the nearby schools and GFAN is taking care of their food, fees and cloths etc. 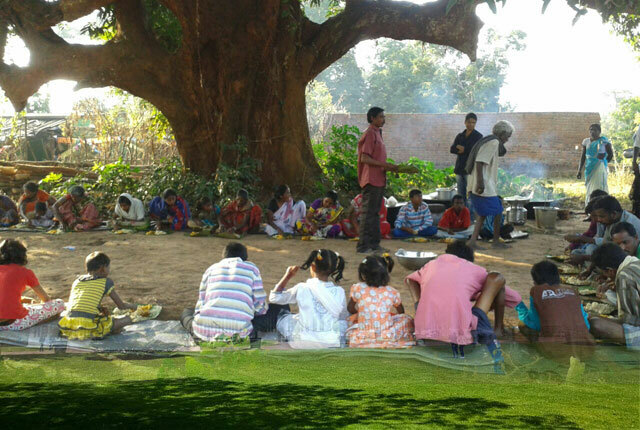 We have started 2 Primary Schools in Odisha remote villages where there is no schools to educate children. Presently classes are from 1-4 standard and aiming to start higher classes in the coming years. Started a Coaching Center at Gurgaon, Haryana to support school going children. Aiming to mould the children with good behavioral characteristics. We have limitations to consider all the requests received for educational support to the children. However, we will be able to support many children until now from primary classes to higher level education. A small support for this matter will bring big change in a child’s future. Creating a health awareness campaign is an effective way to prevent the spread of diseases affecting the community. For example, community members can help prevent transmission and create positive environments for people already infected by the virus by spreading the right information throughout the community. 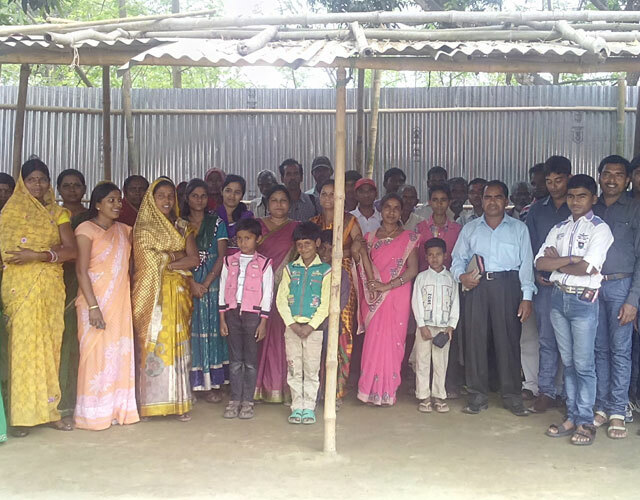 GFAN is planning to conduct health awareness programmes with support of NGOs and in coordination with National Health Mission(NHM) with eight Empowered Action Group (EAG) states - (Bihar, Jharkhand, Madhya Pradesh, Chhattisgarh, Uttar Pradesh, Uttaranchal, Odisha and Himachal Pradesh). President, GFAN Ministries, New Delhi-110 037. If you have the same spiritual vision and burden about the perishing souls, we have the mission and you can join with us to fight against the powers of darkness and deliver thousands from the bondages with the power of gospel. "…. one chase a thousand, And two put ten thousand to flight,..” (Deut.32:30) This is the Lord’s multiplication factor and effect to cast out enemy if we stand together in one accord. Come! Let us join hands and work together to give the living bread to the dying world at any cost. To show the love of Jesus to the poor, unprivileged children and widows GFAN have made shelters in following locations. In India, Bihar state is having the highest percentage of illiterates and lowest in per capita income. “The per capita income of the state of Bihar is much less vis-a-vis the national average," Minister for Coal and Statistics and Programme Implementation Sriprakash Jaiswal told the Lok Sabha in a written reply recently. This shows the financial status of the people and their living standard. There are many needy children upto the age of 15 either without parents or lively hood and education. Our Children Care home has taken up the responsibility of 30 students out of half of them are orphans. We need to send them to schools, provide food, shelter and cloths etc. We have got land to construct building at Falka and the work is going on. GFAN is caring 14 aged widow believers at Yangon, Myanmar. 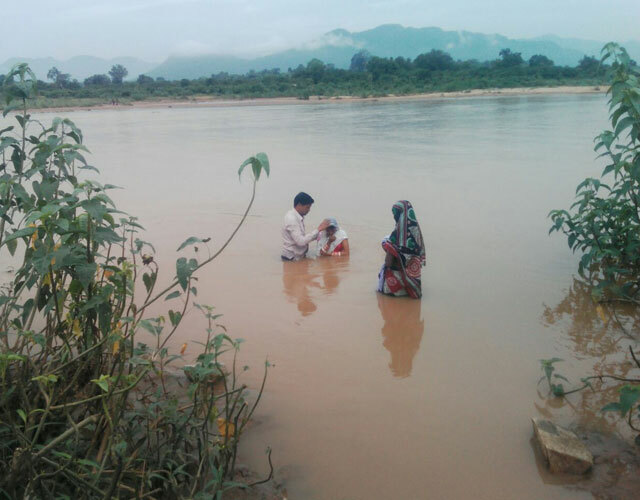 Pastor Daving Naing Ki is looking after the home. He also involved in church ministry there and planted churches in Yangon city and Chin state. Lack of education and illiteracy is a curse to the modern world. There is a close connection between illiteracy and poverty at all levels--global, national, and subnational; the countries with the lowest levels of literacy are also the poorest economically. Poverty breeds illiteracy by forcing children to drop out of school to work, and these illiterate people are forced to stay on the lowest levels of the work force and thus remain in poverty. Thus illiteracy in turn reinforces poverty, and poverty is cyclical in families. Women and girls are especially vulnerable to the cycle. In order to break the cycle of illiteracy, GFAN started literacy classes and primary school in the villages where there is no such facility is available. In some places, sending children to the nearby schools and GFAN is taking care of their food, fees and cloths etc. Presently two Govt. approved Primary Schools are running in Orissa, giving education to the children. In the 21st century, the Internet & Mass Media plays a major role in spreading the gospel without boundaries. It works as a virtual mission field to reach the people who are unreached directly because of certain restrictions and ban of gospel. Places and people who need to hear the Gospel are everywhere! GFAN is planning to start Internet and Mass Media Evangelism very soon. To learn and earn GFAN has started a ladies tailoring training center. 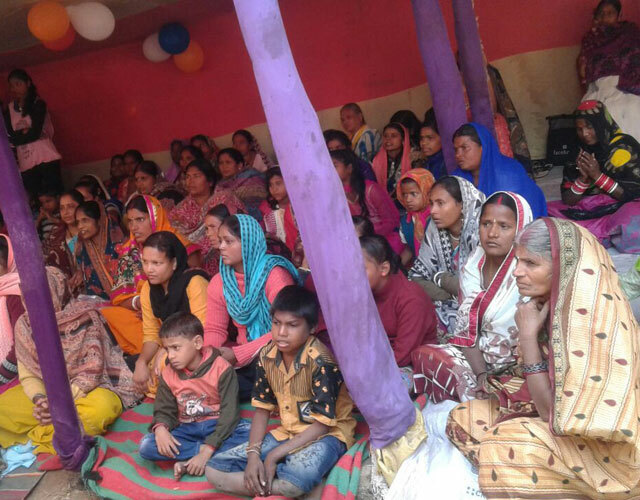 It is a blessing for many unemployed women in Fathua, Bihar. Marriage support to poor girls In the past GFAN supported financially for the marriage of many poor girls. All of them are leading a happy family life in different places. We have limitations to consider all the requests received for educational support to the children. Even though we will be able to support many children until now in lower grade as well as for higher level education. A small support for this matter will bring big change in a child’s future. Marriage support to poor girls In the past GFAN extended financial support for the marriage of many deserved girls. All of them are leading a happy family life in different places. Hope to extend this helping hands to many in the future. The need of the hour for the saved people is a comfortable place to gather weekly and conduct worships. Most of the rural area houses have limitation to gather people together. Therefore, wants to make prayer halls in their locality. To construct a prayer hall needs atleast 1 lakh to 3 lakh rupees which depends on the area. Presently need to construct more than a dozen prayer halls in different places. My life was afflicted with evil spirits. I did not take care of my family even they had no food. I was leading a hopeless and miserable life. One day Pastor Dharmender came to me and prayed. I freed from clutches of satanic powers and came to a normal life. Now I am happy because Jesus came to my life. My son was suffered with pneumonia and jaundice together and was in ICU for 3 weeks. Doctors said there is no hope to get the child back as his condition was deteriorating day by day. Pastors and all church members prayed for my child and God healed him miraculously. I am doing Lord’s work in Nepal now. After my marriage we are seeking for a child but not conceived. We both were medically fit but no positive results on issues. 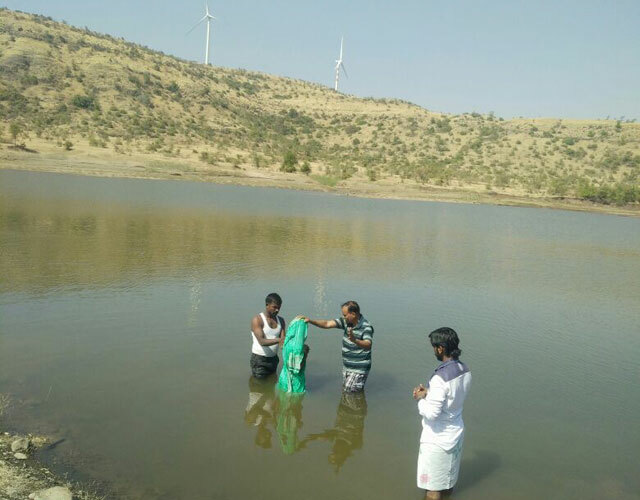 After 8 long years we surrendered our life to Jesus Christ and get baptized, then we got a girl child and now a boy one year back. Praise to be Lord’s name. I had severe head ache and lost memory so admitted in Pune Medical College. Doctors diagnosed that I had a big Tumor in brain. My condition deteriorating day by day and lost hope of even survival. But my family believed in Jesus and prayed for a divine healing. 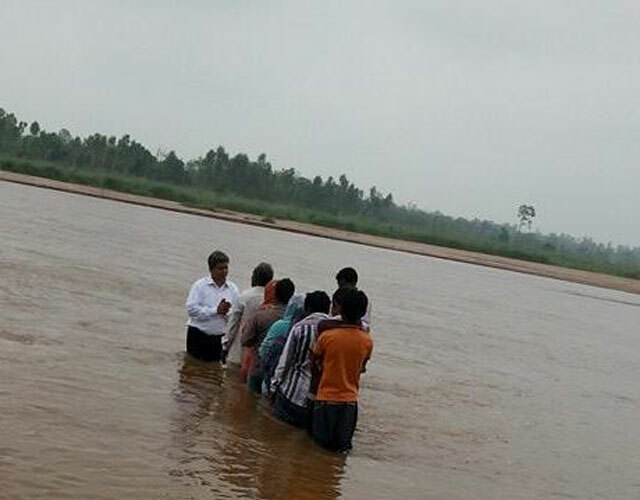 Pastor Pandurang Waghmore and church were fasted and prayed for my deliverance. The surgery was so complicated but God heard the prayer and did miracle. After surgery my body started to recover slowly. I become in normal position within a year. Now I am witnessing about Jesus’ love who is the Living God.